All our members must abide by the Code that dictates the standard of service you will receive. Most importantly the Code requires our members to deal with you in a courteous and sympathetic way at all times. To ensure that their website text is clear and not misleading. To provide you with a clear description, price and timetable for the house clearance to be carried out. To guarantee full liability insurance. 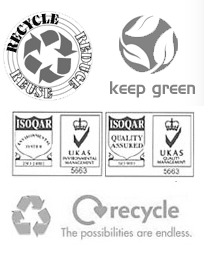 To guarantee proof of a current waste carrier’s license issued by the Environment Agency. To only use staff who are courteous, competent, and committed to providing a high standard of service. To deal promptly, and sympathetically with anything that may go wrong. If you have a complaint about the service received from one of our members, we will resolve it fairly, quickly, and efficiently.